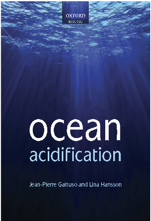 The ocean acidification news stream will be transferred to the Ocean Acidification International Coordination Centre, a project based at the Environment Laboratories of the International Atomic Energy Agency in Monaco. The transfer should be smooth, you will note a few cosmetic changes (e.g. 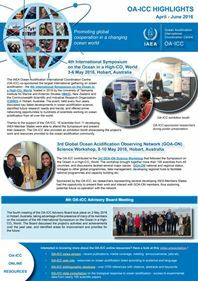 change of banner) and the URL will change to www.iaea.org/ocean-acidification/news-stream, but not much else will change. All previous posts will still be available. For those of you following this news stream by Facebook, please re-subscribe as the page will change (Facebook page name: OAICC). For those of you following by Twitter or email, nothing should change (except for the Twitter name and email address). We thank Jean-Pierre Gattuso for the avant-garde idea and his dedication during numerous years!